MLM, Micro Finance & Nidhi Softwear Solutions Story off BC Software Services Pvt. 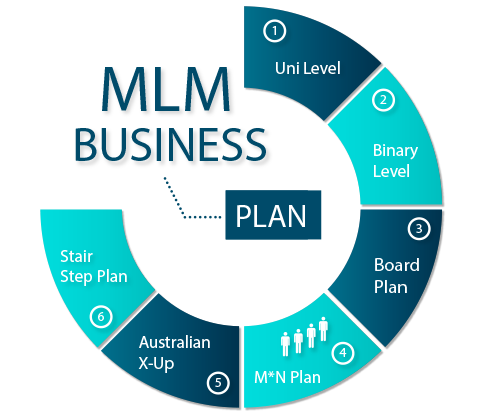 Ltd.
Multi Level Marketing (MLM) is a term that describes marketing structure that used by some companies as a part of their overall marketing strategy. To run business smoothly you need a powerful software backup. We know our client’s need. We have vast knowledge of developing MLM Software (multi-level affiliate management) and we always go on current market flow. So we can provide our clients perfect software that helps them to run their business more efficiently. Fully customized, automated, web based Application. Simple, Reliable and User Friendly to operate. Software decorates with all kind of reports. Software integrated with every single requirement of clients. Facility of Exporting the reports into Microsoft Excel, Word, PDF. Software provides Registration logins with secure mode. Fund management, Fund Transfer to members. Provision for TDS deduction & GST on product/service. Integrated with Inventory Management system & Franchisee management. Savings, RD, FD, MIS management. E-pin (Prepaid voucher) is one of the secure way of taking membership / product payment. E-money and E-wallet Both are available in software which boostup your business. There is Stock Maintain Panel in our software so you need not maintain stock manually. Through this panel you can manage your product, such as product sale/purchase, product offers etc. There will be stockist available also. We provide facebook like option. Which is another business plan for MLM Business. There will be Franchise Management panel. E-pin (Prepaid voucher) is one of the secure way. SMS software to send unlimited number of group text messages from your PC. Binary Plan is like a 2xInfinity Forced Matrix with a Twist. This plan allows you to build a limited width organization. We have own dedicated server. So we can give 100% guaranteed data security. We Provide payment gateway as Liberty/paypal/perfect money/ alert pay to colltect payment from user. We provide both E-pin and E-money facilities. We offer a couple of different ways for your application to interact with Bulk SMS to send sms messages. We developed now ad view plan. Now this is new feature added to our software. There one can bidding for any freelancing job. There will be option for calculatiing balance sheet. We integrate dynamic tds system which means admin can set any rate of tds anytime. Your website can be CMS based if you need. Thre are customize welcome letter in our software. Another new feature of gift / offer promotional is added to our software. Cheque printing software will help you to print Cheques in your bank's format. Please fill up the following fields. We shall send you a link. Just click and view demo.